Mill equipment can process a large number of mineral resources, a wide range, including a variety of ore materials, and Mohs hardness of six or less, low humidity materials, including kaolin, etc., with people The environmental protection meaning has been continuously enhanced, resulting in the exploitation and utilization of a large number of mineral resources, customers have put forward higher requirements and standards for mineral processing equipment, and accelerated the promotion of mineral processing equipment manufacturers to seek new ways and development direction. 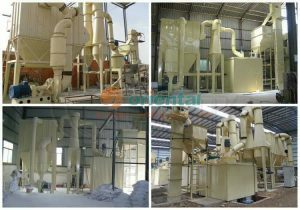 According to the physical and chemical properties of the ore, particle size, water content, mud and other factors, equipment suitable for ore characteristics should be selected. 2. According to the scale of production, choose large-scale equipment as much as possible to reduce the number of equipment, save floor space, reduce investment and operating expenses, and increase labor productivity. 3. The main equipment should use products with advanced technology, stable and reliable operation, and mature production practices, requiring high production efficiency, energy saving and environmental protection. 4. In order to ensure the operating rate of the main equipment, the equipment associated with it should be given a certain number of spare parts according to actual needs. 5. The auxiliary equipment must be matched with the main equipment. The equipment load rate selected for the upper and lower operations should be balanced, and the equipment type specifications for the same operation should be the same.